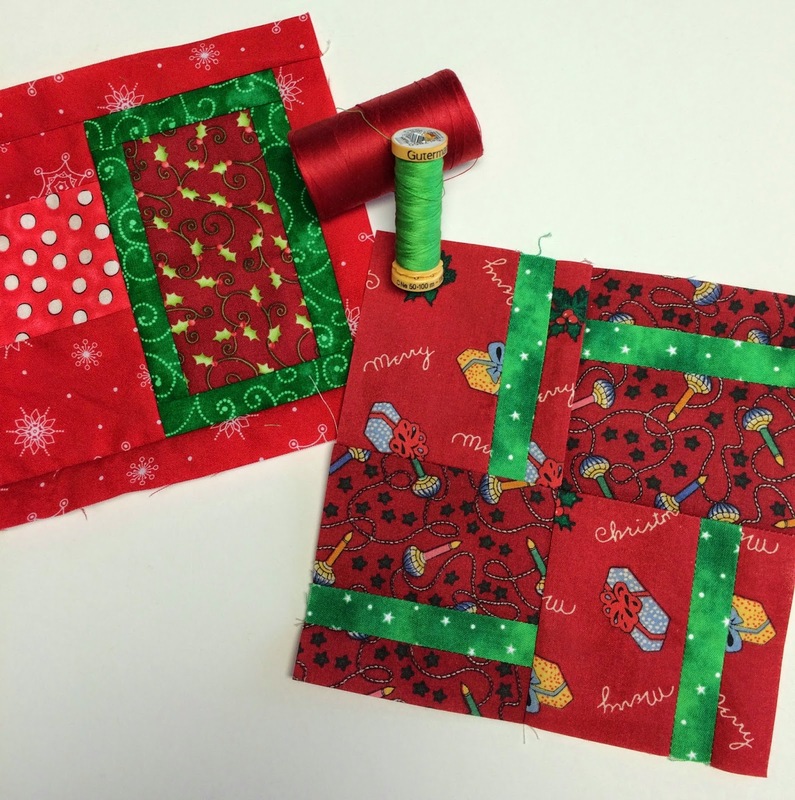 I've still been working on the "Have Yourself a Quilty Little Christmas" sew-along on Instagram, with all the instructions by Lori Holt from Bee in My Bonnet. This has been so much fun, I'm sorry to see it coming to an end. What have you been working on? Link up and show us! With everything going on, I'm going to suspend the link-up until the first of the year. 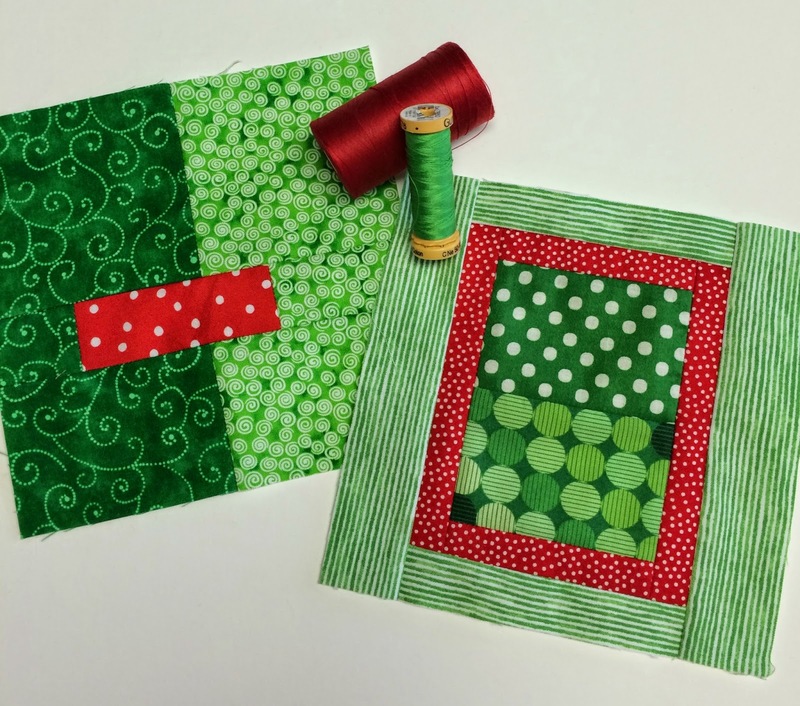 But keep sewing and plan on showing us your progress next year (wow, that sounds weird, doesn't it?!). 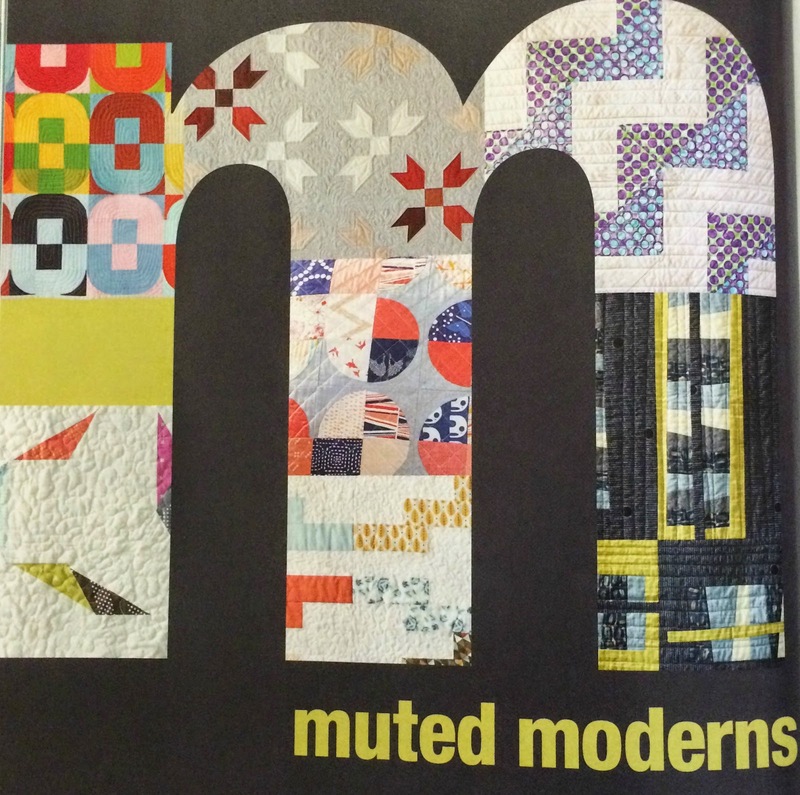 I'm so happy to have a quilt in the latest issue of Modern Patchwork. I named it First Call for Fall. The magazine shortened it to Call for Fall, but I'm sticking with the original name. It all started with this logo. My husband was searching for contact information on a church website and when I saw the church logo, I had him wait long enough for me to take a screen shot. 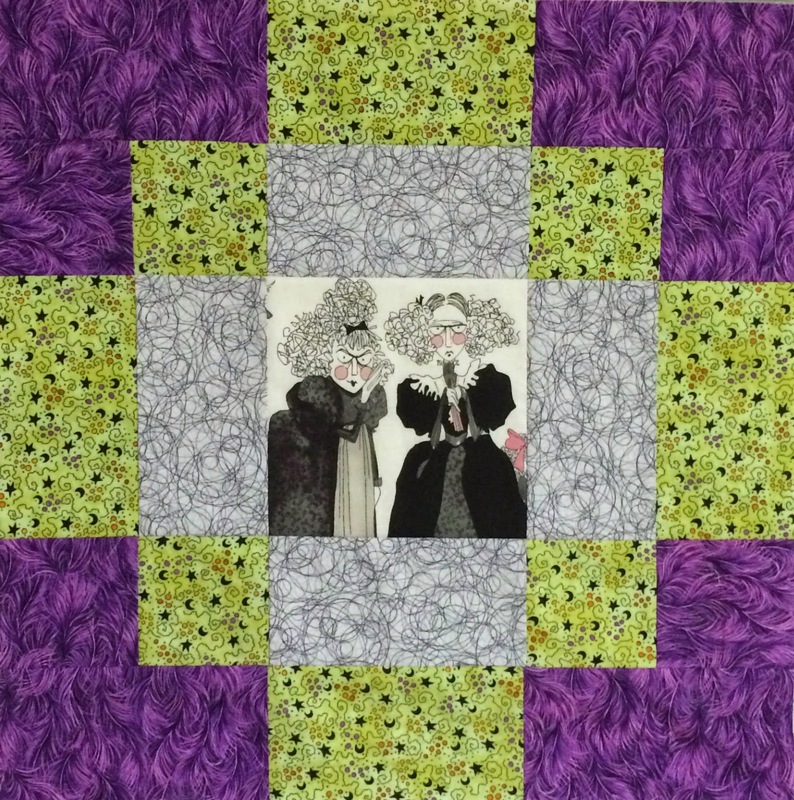 With a few adjustments, I knew it would make a great quilt block. I love it when inspiration strikes from unexpected places. 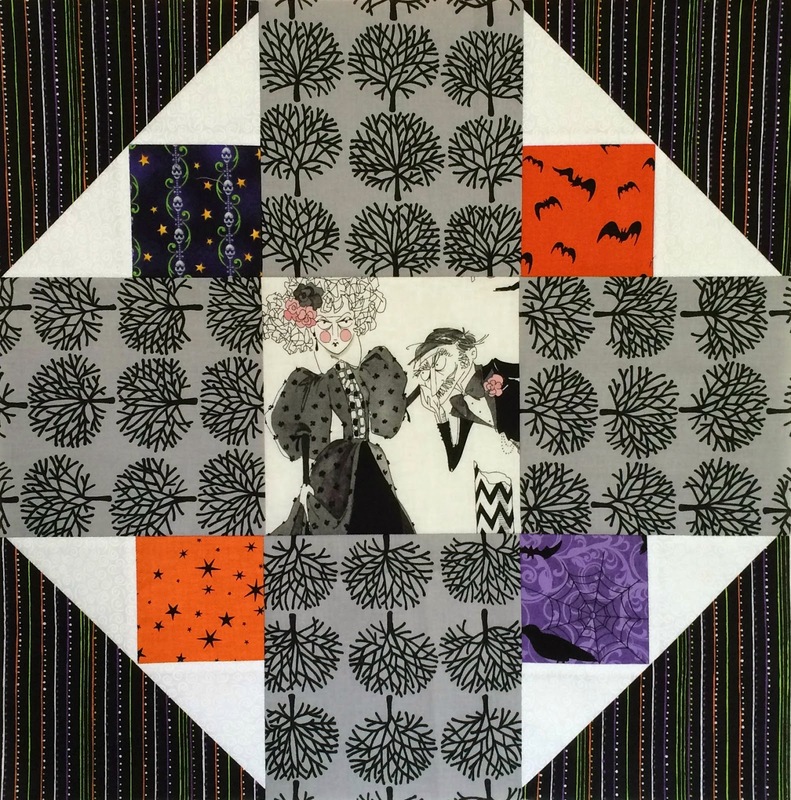 I made the entire quilt top from my stash--also a bonus. 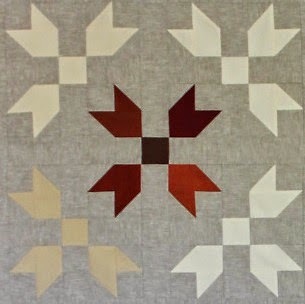 I had enough Essex yarn-dyed linen, some Kona cottons in light colors, and scraps of Oakshott cottons in fall-ish colors. 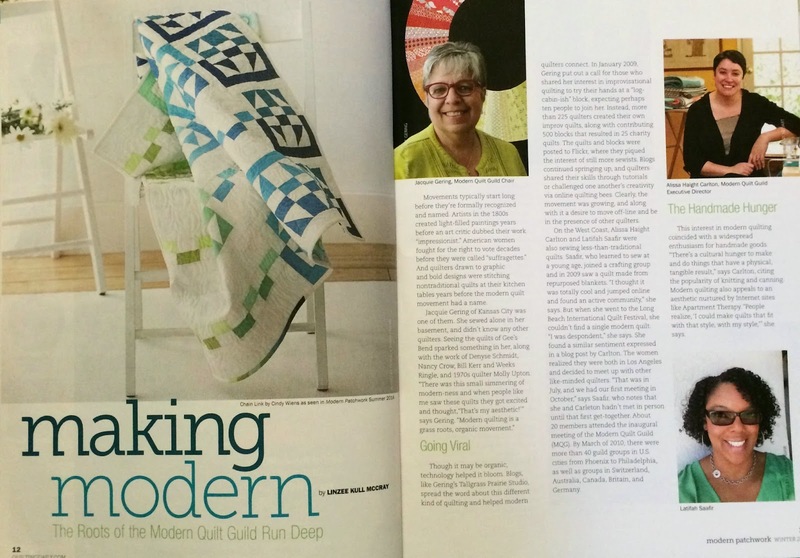 I had a complete surprise when I was paging through the actual magazine for the first time: my quilt from the Summer 2014 issue, Chain Link, was used in the first article, right there across from Jacquie Gering, Alissa Haight Carlton and Latifah Saafir. As my grandson, Levi, has been saying a lot lately, "Holy smokes!!" Note: The Giveaway is now closed. Thanks for stopping by! 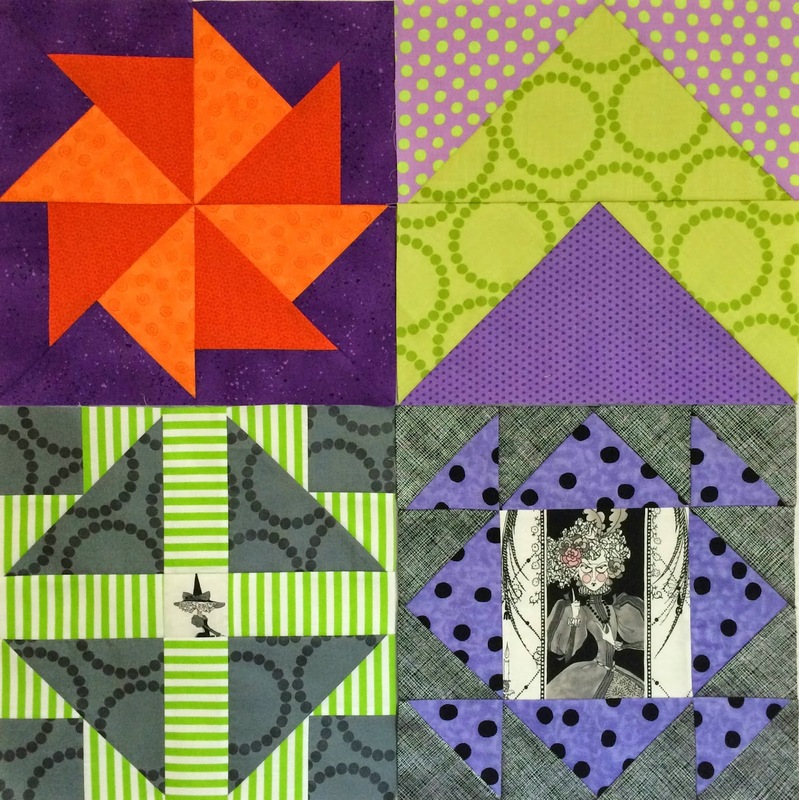 Welcome to the blog today! Let's consider today a"series of fortunate events" for you, the reader. I am rarely on blog hops or book tours, but for some reason, beyond my control, I have both on the very same day. Let's start with Molly Hanson first. Here is a funny back story. 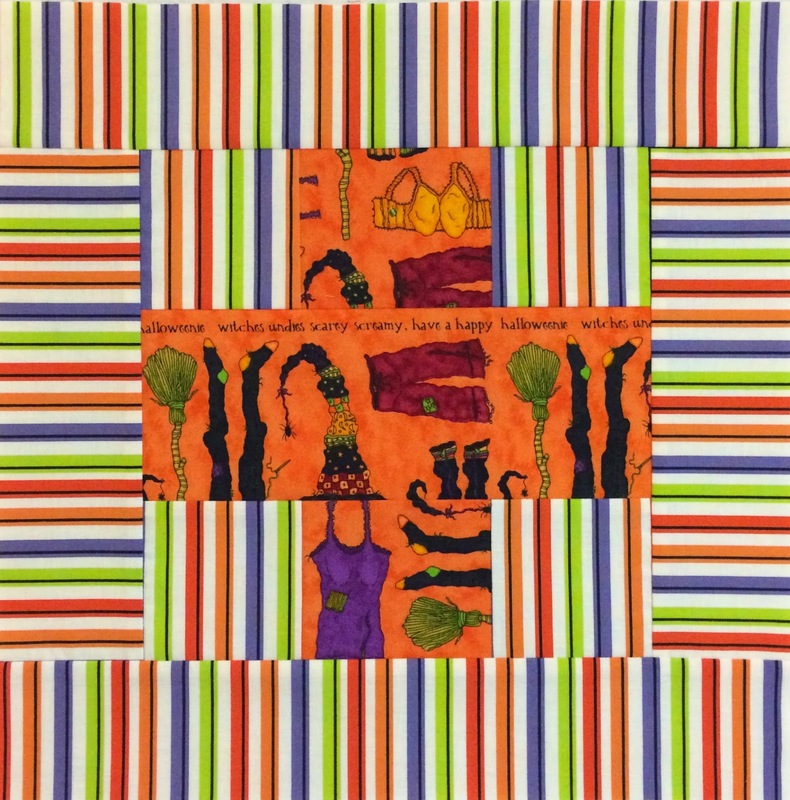 I was at spring quilt market in May 2013, walking down an aisle with my husband, Mark, when someone stopped me right as we came to Angela Walters' booth, and said, "Aren't you Cindy from Live a Colorful Life? I read your blog!" I was pretty shocked that someone recognized me. 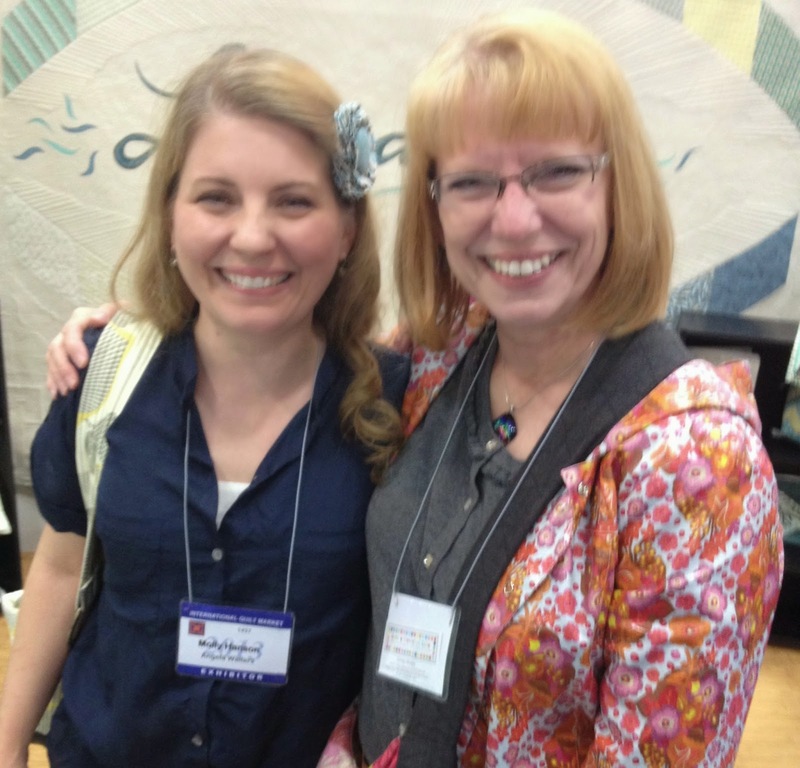 I have met blogging friends before, but always because we had prearranged it. Random recognition has never happened to me. It was really fun., so Mark took our picture and we chatted a bit. I instantly knew that Molly and I would be friends. She is warm and funny, and VERY talented. 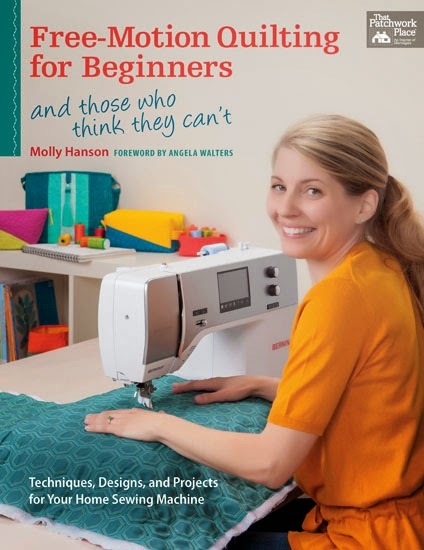 When she told me about her book, "Free Motion Quilting for Beginners, and those who think they can't" I kind of felt like she had written it specifically for me. 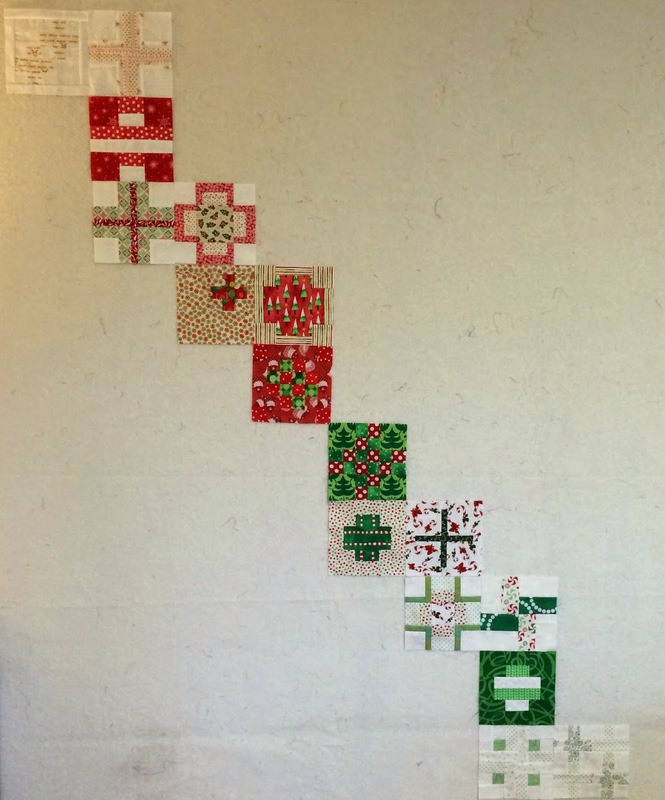 The only quilting I have done is straight-line/grid quilting. 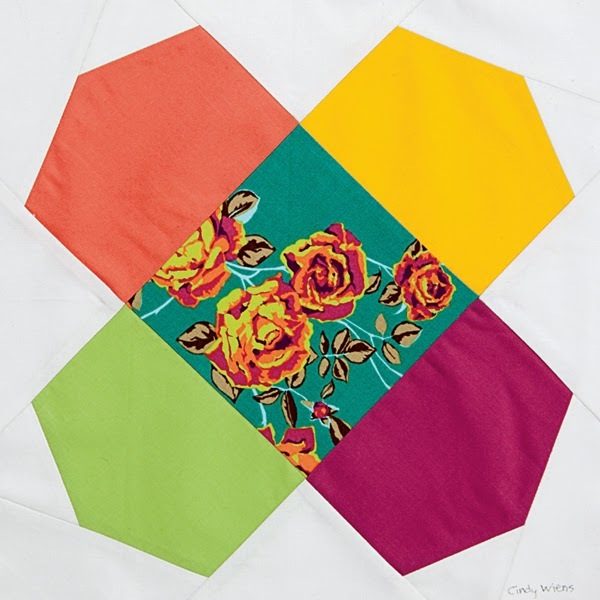 I love them both, but have felt ready to expand my quilting horizons, although feeling intimidated at the thought of actually trying something new. 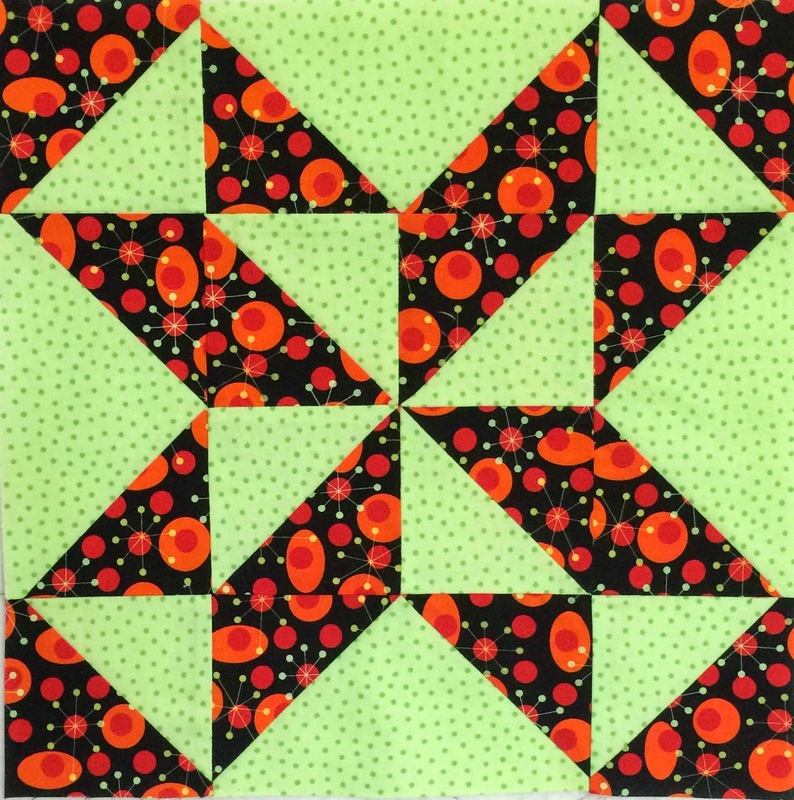 For some reason, I always thought that stippling was the first required skill on your way to free motion quilting. 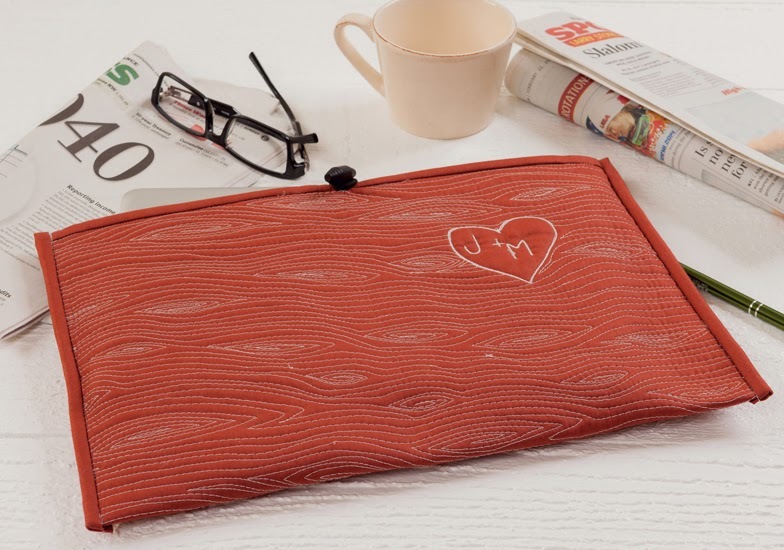 Imagine my joy when I read this, "When I first sat down and tried free-motion quilting, I started with classic stippling, because I thought I was supposed to start there. It turned out that wasn't a good starting point for me because the movements were so foreign." 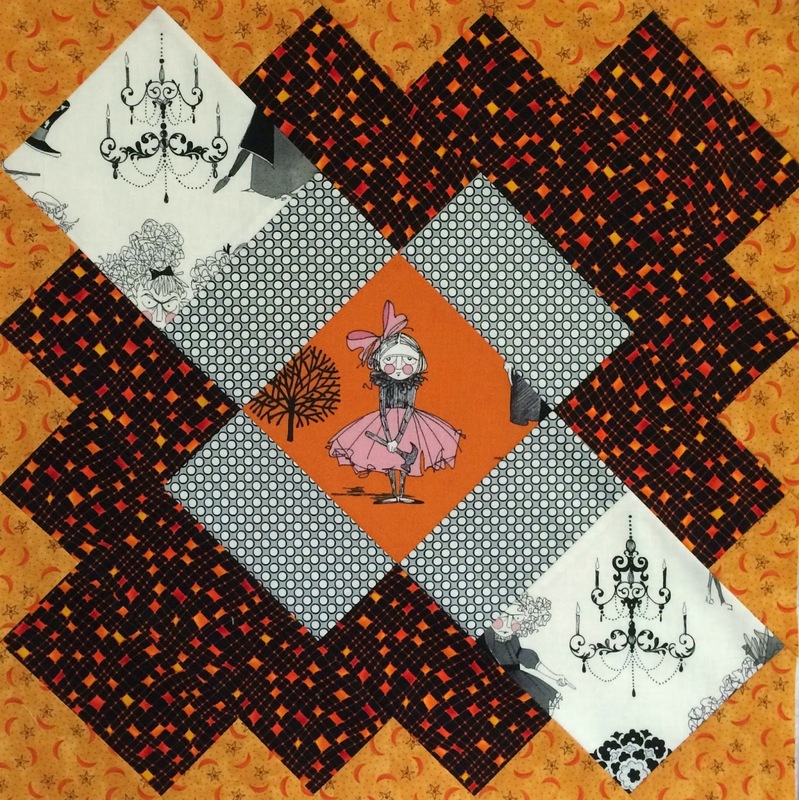 After a lot of information on supplies, tips and tricks, and reminders, she starts with small projects, and with each new FMQ skill, you move to larger and larger projects until by the end you have the skills to move onto a quilt. I hesitate to show you my trial run, but everyone has to start somewhere. Once over I got over the freaky feeling that I was the one in control and relaxed a little bit, things seemed to go more smoothly. 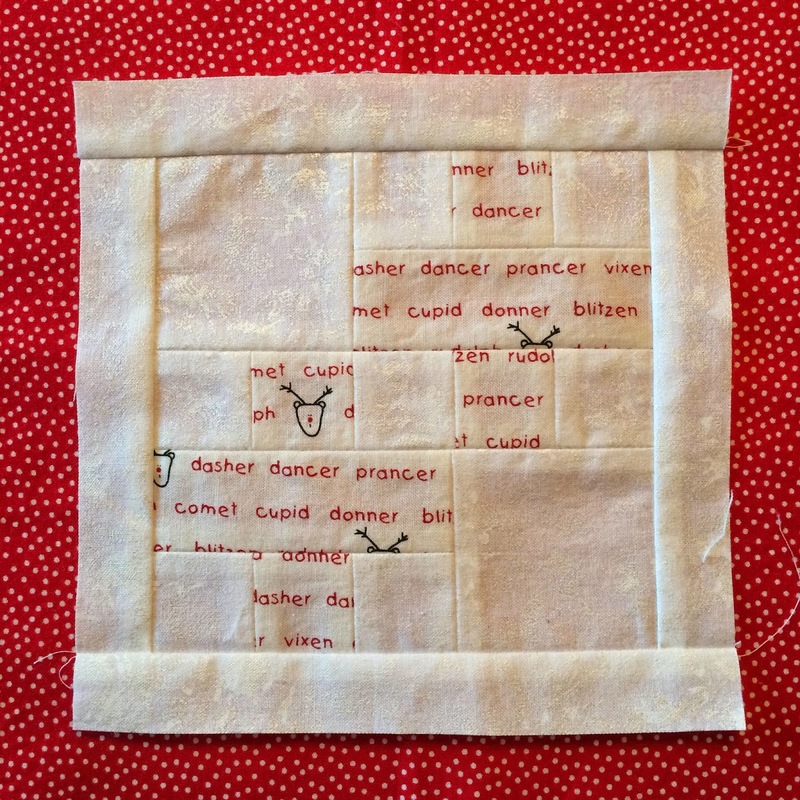 The projects are cute and clever, and I really want to make each and every one. Here are a couple of my favorites (all photos courtesy of Martingale, Brent Kane, photographer). 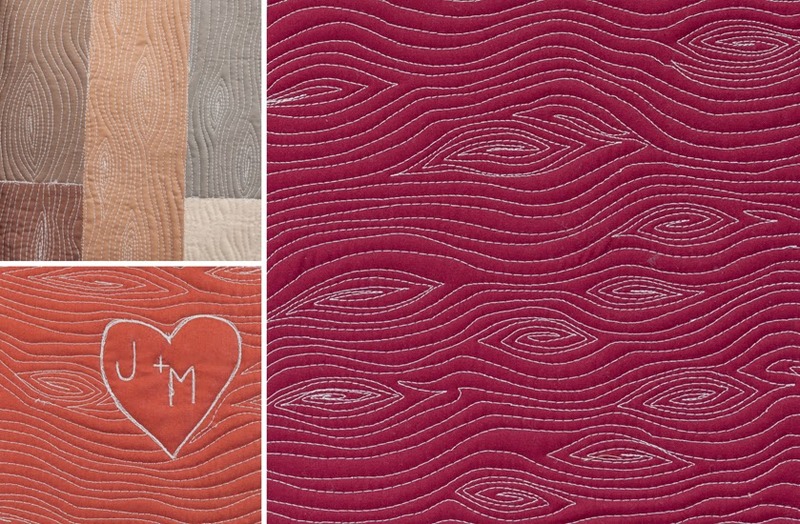 Aren't the initials cute in the woodgrain quilting? 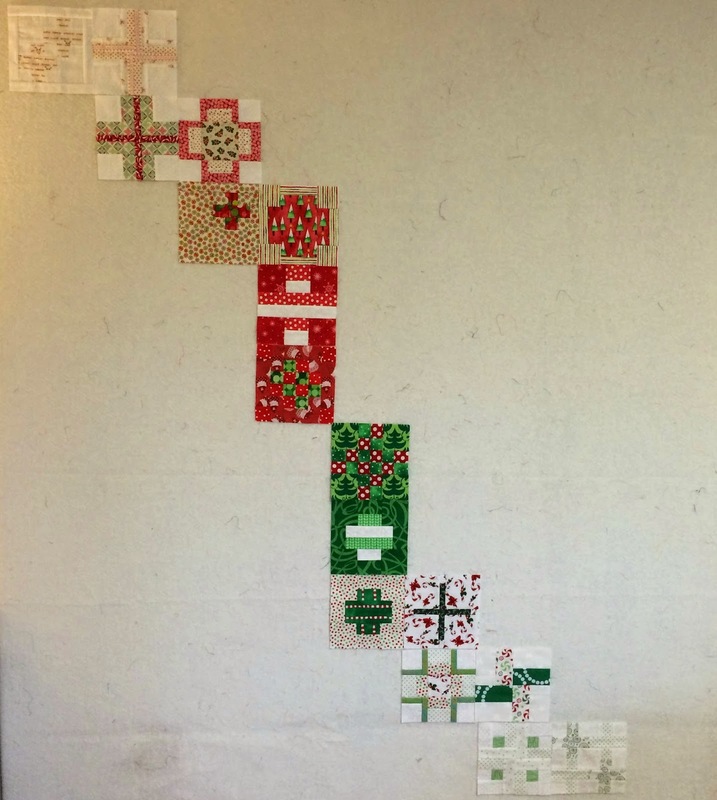 After the holidays, I plan to work my way from start to finish through the book, making each project. 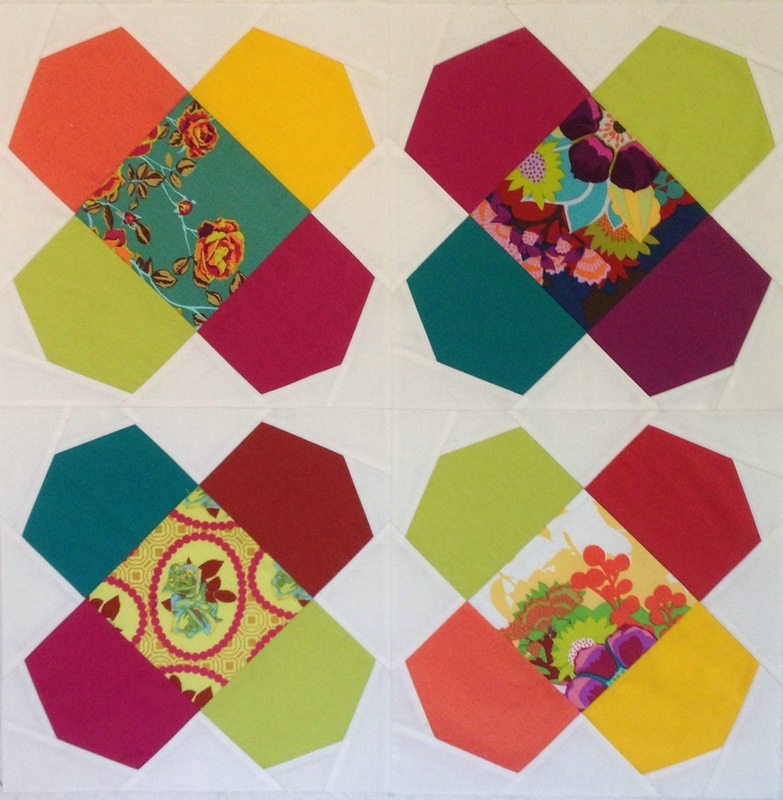 You can follow Molly's quilting adventures on her blog. Molly's publisher, Martingale, has generously offered to give an e-book to one lucky reader. 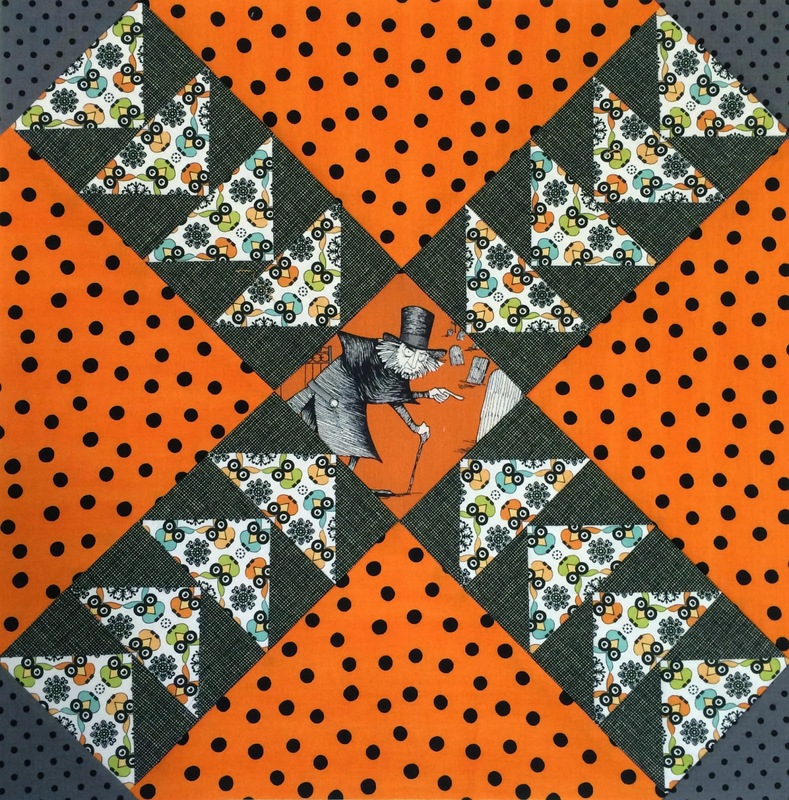 So for this giveaway, leave a comment and let me know if you are a free motion quilter, and if you started with stippling. 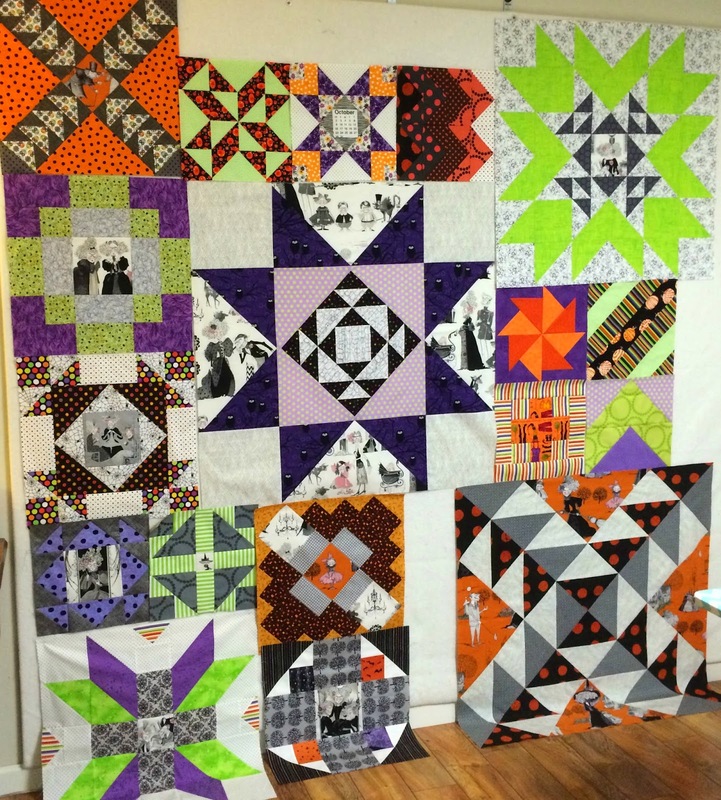 Also be sure to check out the previous stops on the tour, and the Thermoweb stop tomorrow. 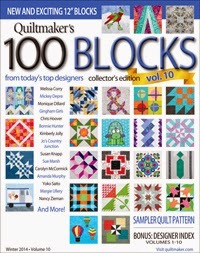 Next, I'm really happy to have a block in Quiltmaker's 100 Blocks, especially this edition, as it is the 10th volume, which means they have published 1000 block designs. My block is #930, Wanderlust. 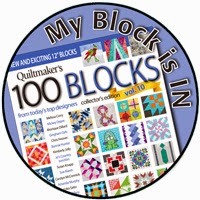 It is based on a logo I saw on a website (logos are great sources of inspiration!). 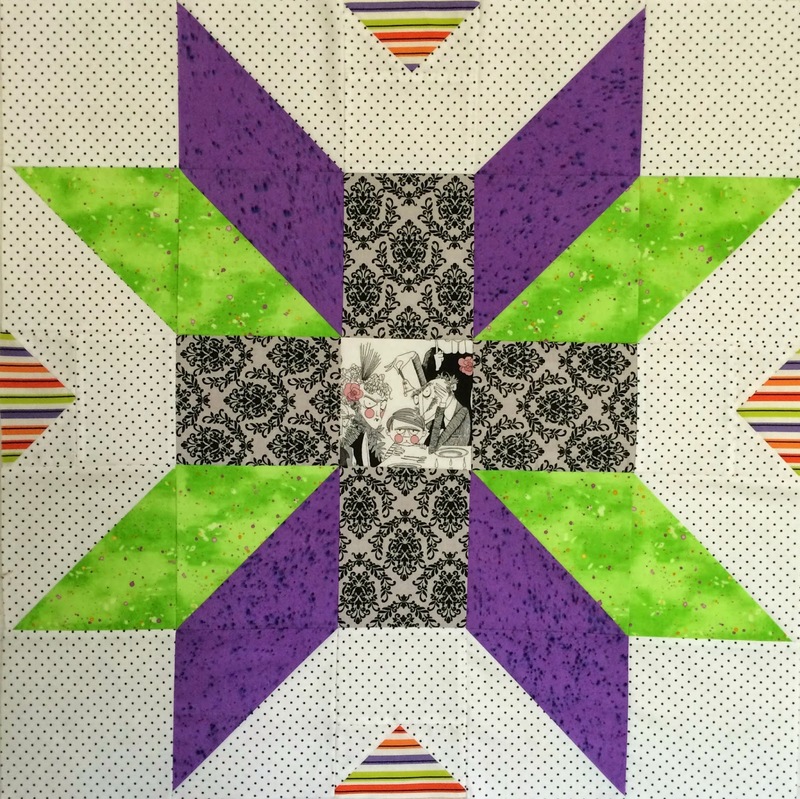 As always, Quilty Pleasures is featuring great giveaways during the blog tour and listing all of the participants for each day so you will want to make sure to stop over there. 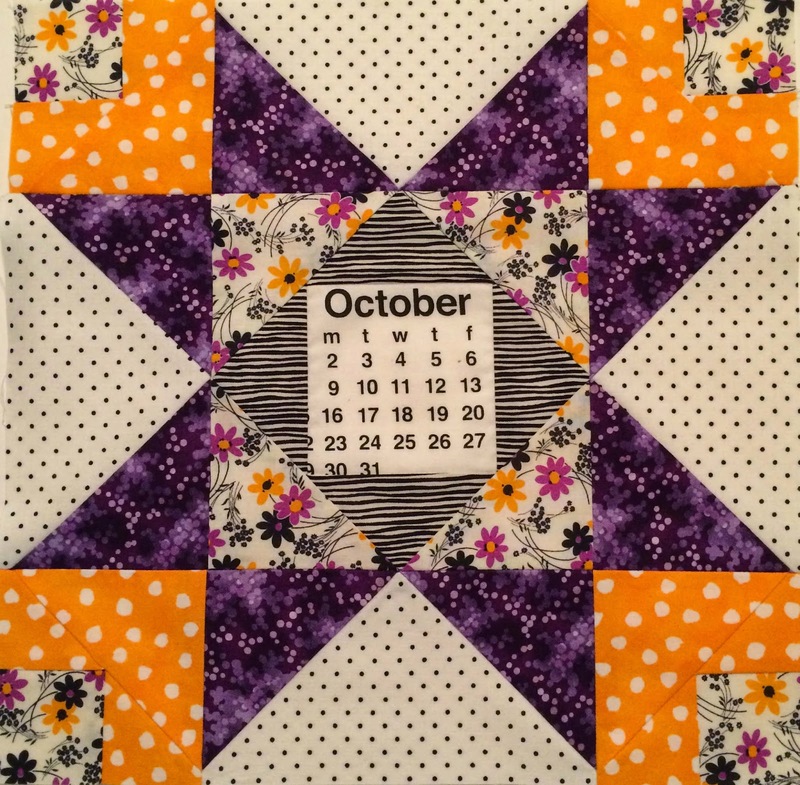 I also made a mini quilt, shown in the magazine as well. 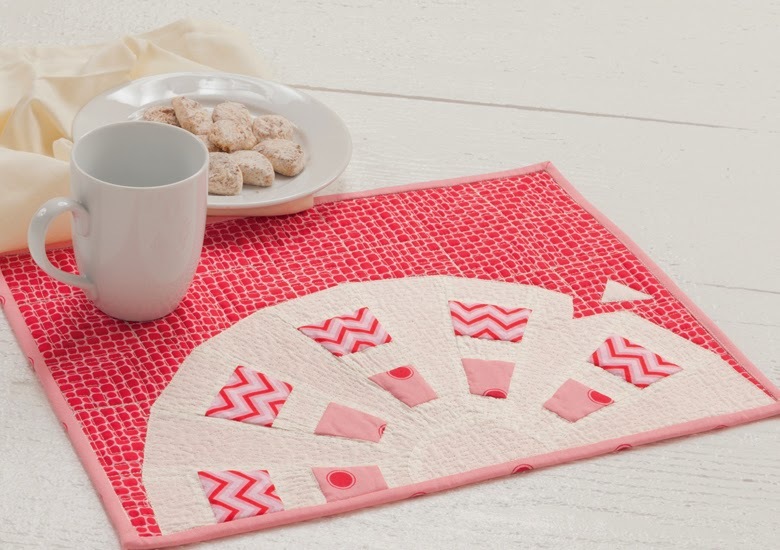 I'll be picking winners for each of the giveaways Monday morning, November 24, so make sure I have contact information, and thanks so much for stopping by!